Church Services are held every Sunday morning. 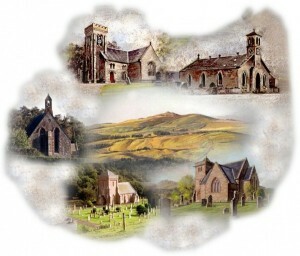 Because there our five churches in our linked parish, four of which are used on a regular basis, services have to be rotated between churches in Ruberslaw Parish, while Hobkirk and Southdean have a service in Hobkirk Church every week. In addition, service times at 9-30am and 11-00 am are changed twice a year to ensure that each of the linked parishes gets ‘early’ and ‘late’ services, for the convenience of members. Coffee is served after ‘early’ services. At Easter and Christmas time, there are additional services and times of some regular services change. Watch the ‘Service Time’ page on this web site, or church notice boards and local press for more details.